Have you dabbled in Number Talks with your students only to find that they quickly get disengaged? Or have you thought about using number talks in your classroom, but are unsure where to begin? If so, we’d like to share 5 ideas that you can implement this week. When we first dabbled in number talks we followed a prescribed set of exercises. Our number talks consisted of only dot cards, ten frames, and expressions. We explored one number for days at a time, while students shared various ways they saw “that” number. The students were so engaged in the beginning. They could barely contain themselves as they shared their thinking with their partners. Then, one day, the magic began to fade. The whole experience began to become mundane at best. We became deflated and began to question why we were using valuable time each day dedicated to number talks. Were we getting the best “bang for our buck” with this exercise? Could we make better use of that time? Should we do number talks at all? As we were discussing our frustrations with number talks, we began to do what we ask our students to do all the time, problem solve. We asked ourselves: what is our end goal? We decided that our end goal was to nurture true mathematical curiosity and wonderment in our students. We wanted our students to be problem solvers and critical thinkers. We wanted our students to comfortably muddle through mathematical problems without fear of being “wrong”. We wanted them to solve problems in a way that made sense to them, and to fine tune their processing as the year progressed. We wanted our students to be flexible thinkers who, with strong number sense, could clearly articulate their thinking and defend their answers to others. Upon further reflection, we realized that number talks nurture the goals we had for our students, we just needed to think out of the box while planning them to keep student interest high. There is nothing wrong with dot cards, ten-frames, and expressions (we use them all the time), but number talks will not lose their magic if you spice them up a bit with a variety of activities. 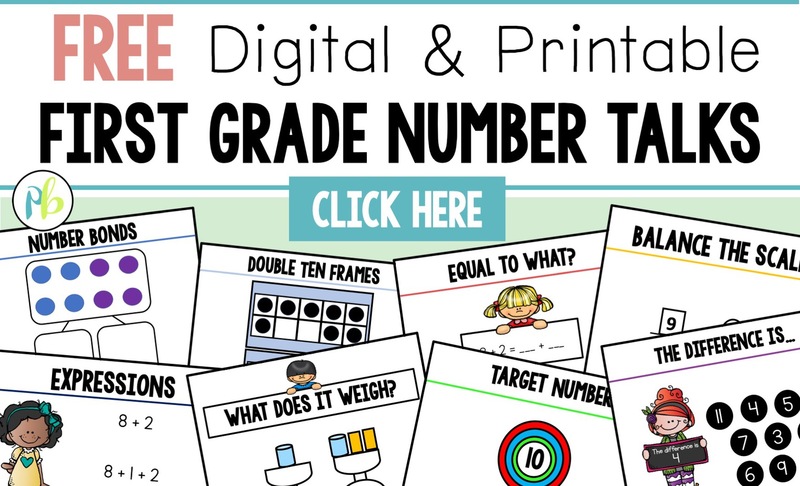 CLICK HERE to download FREE First Grade Number Talks that your students will LOVE. We have chosen 5 of our favorite number talks to share with you! 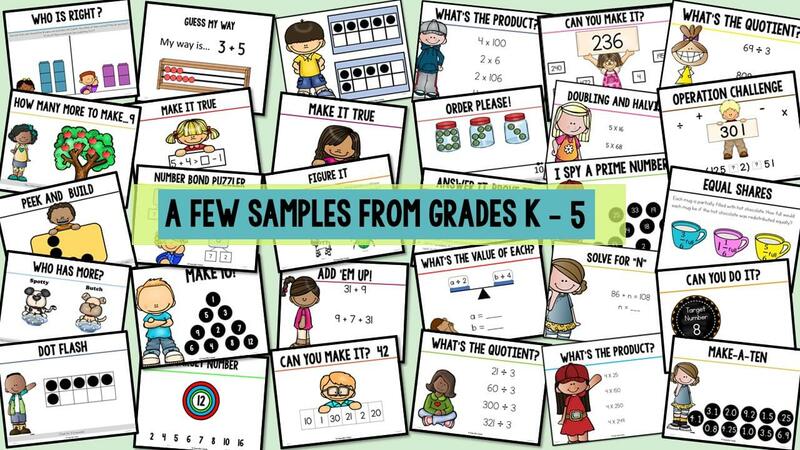 They are guaranteed to ignite your students’ interest and get them thinking and talking math. 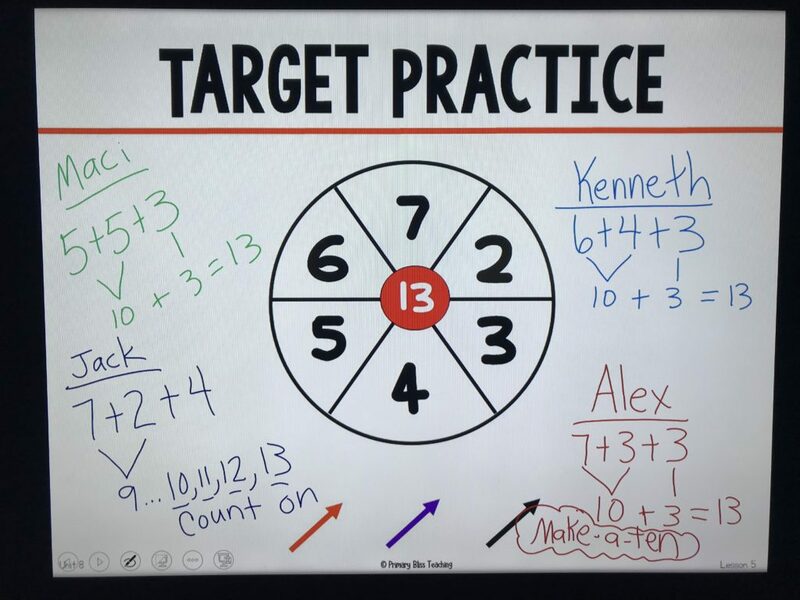 In Target Practice you will choose a target number that you want your students to arrive at using any operation they choose (or a combination of operations). You will also need to select numbers your students can use in order to arrive at the target number. Write those numbers around the target number. Challenge students to find a way to arrive at the target number using only three of the numbers listed. Share with them that they can use a number more than once. Target Number is similar to target practice. 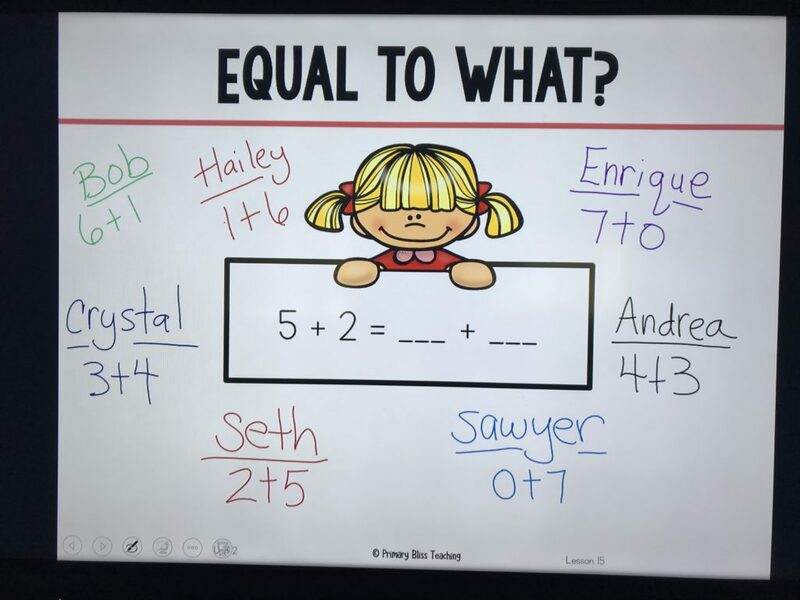 However, students can use as many of the numbers listed on the bottom as they want. They are not limited to using three numbers. This activity involves you presenting your students with a target number that they will try to reach using other selected numbers you provide. 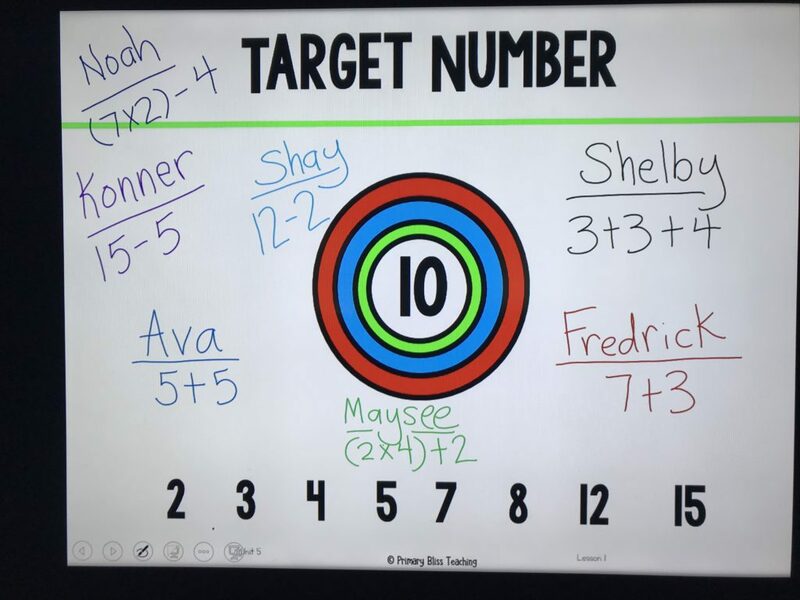 Share with your students that they must use the numbers given to arrive at the target number, and that they can use any operation (or combination of operations) they want. The possibilities are endless. This activity can be done with whole numbers, fractions and decimals. But best of all, all of your students will have a point of entry into this number talk. They can make it as simple or complex as they want. Our students eat this up! Yours will too! While we do believe that mental computation is important, there are times we break out the whiteboards so students can keep track of their ideas (okay number talk police…we know we are breaking the rules a bit here but…it works for us). Represent It is one of the activities that we do this for. 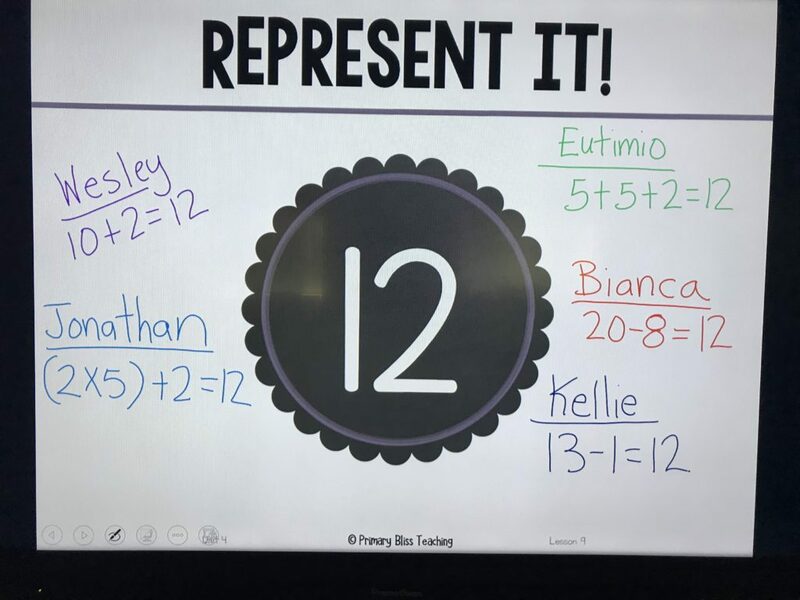 For Represent It, we show the students a number, then ask them to think of as many ways as they can to represent that number. We typically give students a minute or two to brainstorm their ideas prior to partner sharing, then sharing aloud. Again, the possibilities are endless here. What is great about this number talk is that it encourages students to be extremely flexible in their thinking as they work to discover multiple possibilities. So. Much. Fun! Equal to What is a favorite activity in our classrooms. While it’s simple to implement, you will get some great conversations going in your classroom. For this activity simply write an equation with numbers missing on one side of the equation. Ask your students to figure out what numbers could go into the vacant lines to make the equation true. Challenge your students to come up with more than one way to make the equation true. This will really help your students with truly understanding the meaning of the equal sign. A numberless word problem is a story problem that is presented without numbers so that students can focus solely on what information they need to solve the problem and what, exactly, students are being asked to solve. Use of this strategy stops students from randomly applying meaningless operations using the numbers they see in a word problem. Here is an example of a numberless word problem. He gave some to his brother. How many marbles does Brad have now? After you present such a problem to your students, the number talk might go something like this. Teacher: Who can tell me how many marbles Brad has now? Student: We can’t answer that question. We don’t have enough information. Teacher: Seth, what information do you need in order to answer the question? Seth: We need to know how many marbles Brad had in the beginning and how many marbles he gave to his brother? Seth: Because we are trying to figure out how many marbles Brad has left. He had some in the beginning, then he gave some to is brother. Teacher: Will the answer to this question be greater or less than the original number of Marbles that Brad had? Put a thumb up when you have an answer. Turn and tell your partner your answer and why. Kenzie: I think the answer will be less because Brad gave some marbles away. He gave 9 to his brother. Teacher: Put your thumb up when you have an answer. Turn and tell your partner how many marbles Brad has now, and how you figured out the answer. Call on individual students to share their answers and their thinking with the class. You may have students who have incorrect answers, and that’s okay because you will be processing through “how” they got their answer. Oftentimes students correct their own thinking as they process. It is important that you ask students “how” they figured out the answer so student can learn to clearly communicate their thinking and students can learn effective strategies from one another. 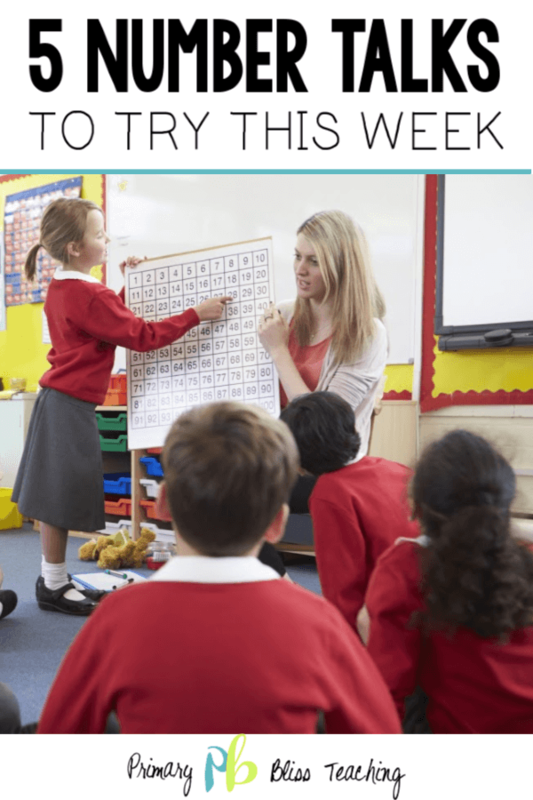 If you are in a rut with number talks, or have not yet given them a try, we encourage you to try these activities this week. You will be amazed as you watch your learners grow in their mathematical thinking. 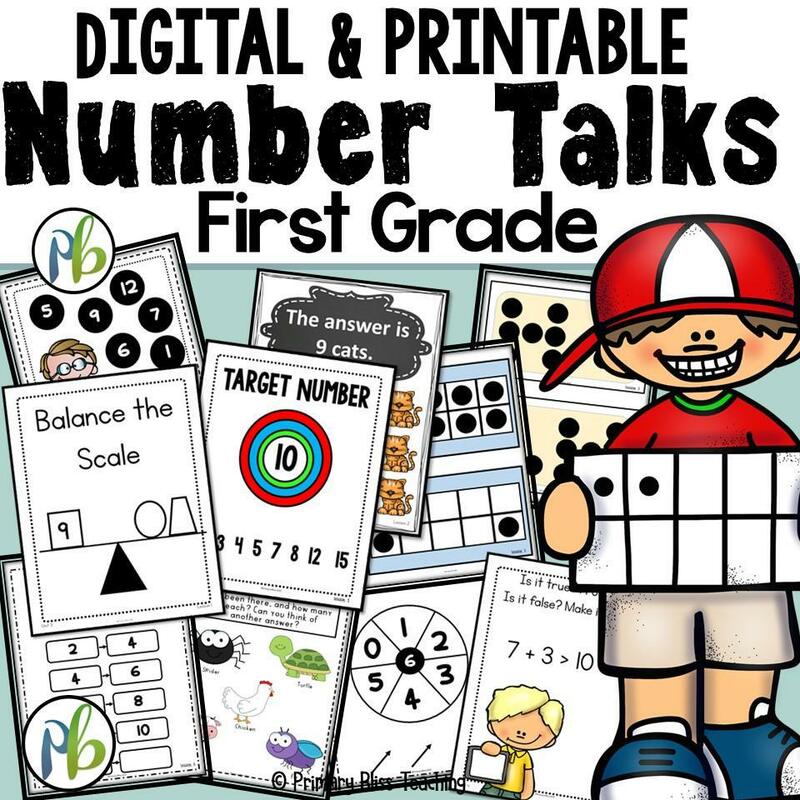 If you don’t have an abundance of time on your hands, we have created yearlong Number Talks Programs for grades K – 5 that come in both DIGITAL and Printable formats. Click here to check them out! 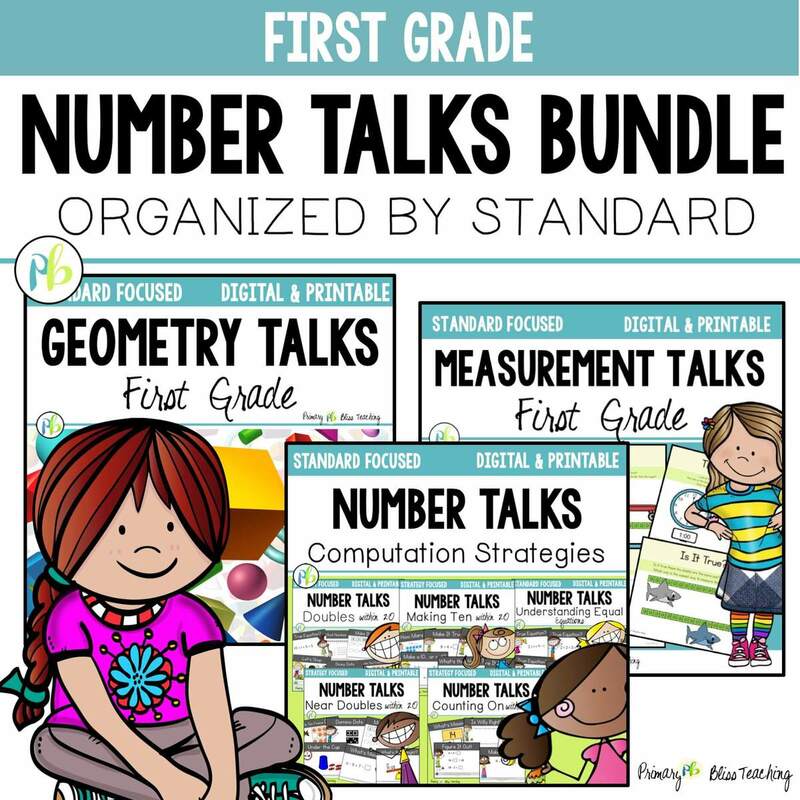 We also offer these Number Talks Yearlong Bundles on Teachers Pay Teachers. Click here to check them out! We’d love to hear from you! What are some of your favorite number talk activities? Hi Cindy- Love these! I am collecting ideas for teaching summer school. I will be teaching 1st grade, which is not my normal grade…. Do you do all of the number talks as a whole group or are they eventually broken out into partners, and if so, how soon would you try that? Hi Beth! Welcome to first grade! 10 is going to be my first target number since i need to introduce sums of ten. Love this idea and balance the scale. I can’t wait to try these numbertalks in the classroom. I think the kids will like having these as a routine, and get to choose which talk they want to do. Do you have these in editable template form? I looked on TPT, but could only find the sentence frames for the number talks. Hi Carrie! We don’t currently have them in an editable template. But it’s something we are considering. 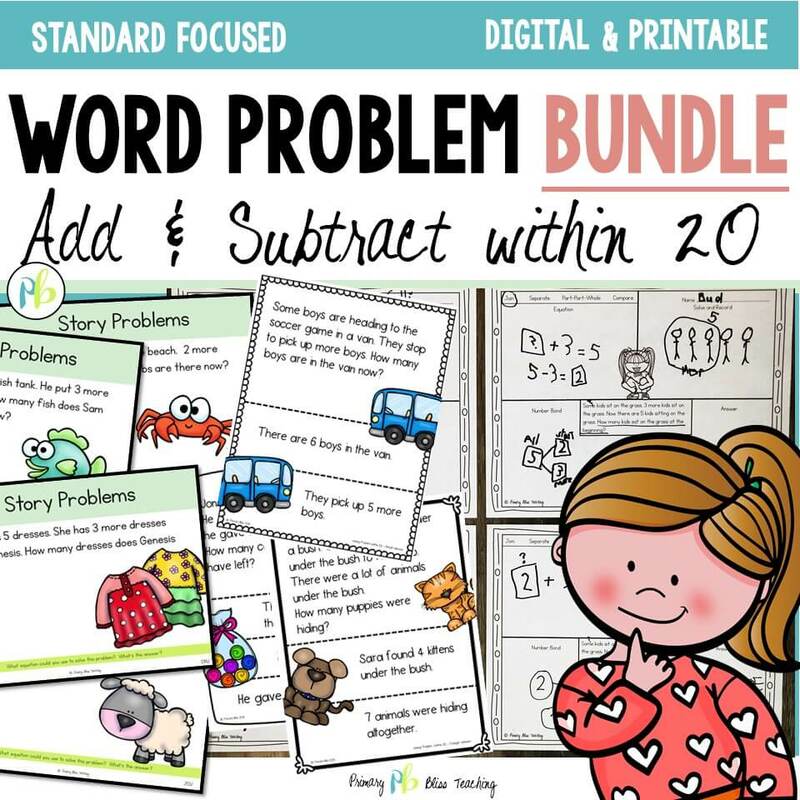 I am excited to try the numberless word problems. What a great way to get students thinking about the process of solving a word problem. Thanks for sharing such detailed descriptions for all the components. Only been introduced to number talk recently although the skills used plenty in sessions. I really like the structure to a session that requires mental agility and collaborative discussions . Thanks for sharing, I look forward to playing! I really like target number. We will start with a lower number., but what a great idea! Balancing equations was something I feared to try until 2nd or even 3rd grade, but I think with small numbers this will be very doable with my little ones. Thank you so much for the ideas I’ve never tried!